Dr Chris Baumann is an Associate Professor at Macquarie University in Sydney, Australia, and a Visiting Professor at Seoul National University (SNU) in Korea. He holds an Economist SEBA (Switzerland), an MBA from Simon Fraser University (SFU) in Vancouver, Canada, and a Doctorate in Business Administration from the Macquarie Graduate School of Management (MGSM) as well as a Postgraduate Certificate in Higher Education (Macquarie). His research includes customer loyalty, competitiveness and Confucianism, ethnic marketing, and East Asia (China and Korea). Associate Professor Baumann has roughly 80 publications in international journals and conference proceedings with roughly 800 citations. His Conversation piece on "Six ways Australia’s education system is failing our kids" has in excess of 110,000 views, and his newest article on "School discipline, school uniforms and academic performance" is one of the most downloaded in the journal. 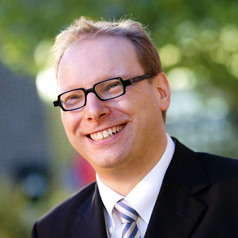 Chris has been awarded several times for his research and teaching, including from the Australian government for his enthusiastic approach to education.